My name is Skyler, and Hetrea is the fictional world that contains all of my stories. Hetrea is to me what Arda is to J. R. R. Tolkien. All of the Comics, Games, Stories and Podcasts you can find here on Hetrea.com take place on the planet Hetrea. Hetrea is a world of Science Fantasy, where magic, monsters and machinery all exist side by side, depending on the time period. The planet of Hetrea is covered mostly in oceans, the deeper of which are too violent to navigate by ship. As of the Modern Era of Hetrea, two continents have been discovered along with their surrounding islands, as depicted in the map to the right. The Southern of the two continents, Mainland, is lush with greenery ranging from massive plains to dense forests, and is home to the largest mountain on Hetrea, Time Mountain. The Northern Continent, Veth, is much hotter, featuring tropical rainforests, vast desolate deserts and rocky, arid mountain ranges. Hetrea has five moons, one of which is artificial, (The Unmoon,) and linked to the surface of the planet by a massive stone chain. 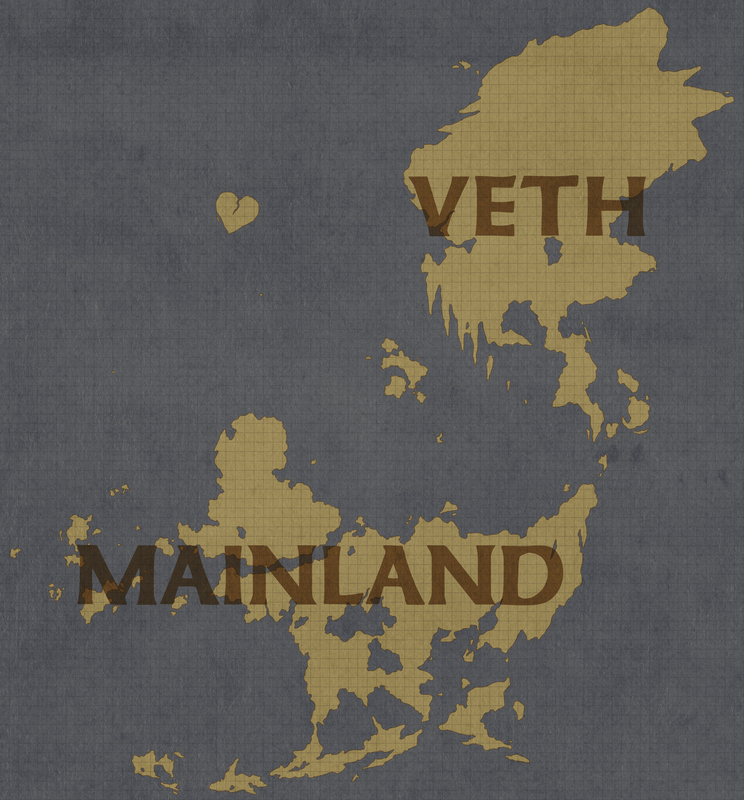 A map of Hetrea's known lands. Life on Hetrea is very different than life on Earth, as the species inhabiting the world do not age with time, but rather with experience. This experience is difficult to measure, as it can range from physical activity to acquired knowledge. Two Hetreans could be born at the same time, but one could reach adulthood before the other based on the lives they lived. Hetrean lifeforms don't decay with age, making them essentially immortal. They can, however, be killed by outside forces, or die naturally of their own volition once they reach a certain amount of mental maturity. Such deaths occur peacefully while the being in question is asleep. Life on Hetrea can be grouped into two categories- Sentient Beings and Monsters. Sentient Beings behave the same way sentient life does on earth- A collection of animals eating, sleeping and reproducing. The most intelligent sentient species, such as Humans, form civilizations across Hetrea's surface. Monsters aren't born. They suddenly exist in one moment, spawning in clusters on the outskirts of civilization. Their 'lives' are spend mindlessly attacking those they come across, and then returning into the nothingness from which they came when they die. Little has been understood about Monsters. As of the Modern Era, monsters no longer exist on Hetrea, having changed into sentient beings seemingly overnight. Researchers believe this sudden transformation to be the result of an isolated event, perhaps something related to the origin of the monsters in the first place. Some species of monsters, such as Slimes, became so intelligent during this event that they were able to integrate into society as a civilized species. Magic exists on Hetrea as an ever-present energy that some of Hetrea's inhabitants can tap into. Individuals born with the ability to tap into this energy are known as 'Mages'. This ability is hereditary, being passed down from parent to child. The strength of this ability is unique to each individual- The majority of mages can only access a small amount of the greater magic energy of Hetrea, leaving them with control over a single element, such as fire or wind. Even the most powerful mages rarely if ever learn to harness a second element. A mage can have a non-magical child if their partner is non-magical as well. Some species are more inherently magic than others. While Human Mages are uncommon, Unfolk mages are the majority of their population. 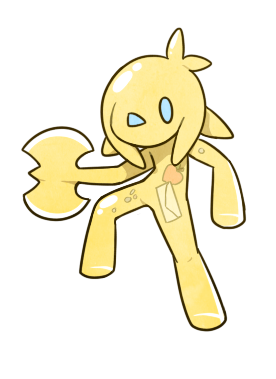 Slimes are made entirely of magic, with the element they have access to being control over their own physical forms. Humans are by far the most abundant of the civilized species of Hetrea. Humans are an inherently weak species. 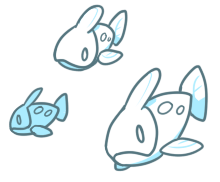 Their squishy flesh offers very little natural defense despite holding so many vital organs. They have neither claws nor wings, and their senses of sight, smell and hearing are average at best. Despite all this, Humans are wildly adaptable and find themselves at home in just about any climate and situation. They are ambitious. 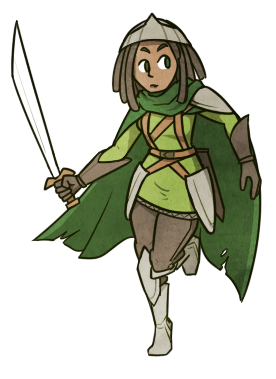 Humans hunger for knowledge, adventure, and prosperity, and have spread across the entire known world of Hetrea. Humans are underdogs at birth, and yet they've fought and built their way to become Hetrea's dominant species, leaving kingdoms, culture, and legends in their wake. Though humans were the first species known to develop a written language, they were somehow spread across the world first, leaving the birthplace of humanity as a species to be the subject of much debate. Before the development of written history, a tribe of human dark mages were imprisoned up on the Unmoon as it was first launched into space. Over the ages, their isolation has forced them to evolve into their own species- Unfolk. 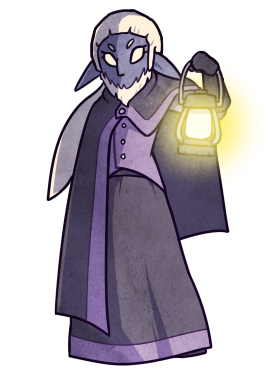 Unfolk have adapted to the lower gravity, extreme cold, and low lighting that life on the Unmoon brings them. Seeing as they've all descended from generations of dark mages, all Unfolk have powerful magic running through their blood. As of the Modern Era, only a handful of Unfolk have ever climbed down from the Unmoon, so Unfolk on Hetrea's surface are incredibly rare. The first Unfolk to descend from the Unmoon was heralded as a divine being despite being incredibly dangerous. Embarrassed by this, many of their descendants choose to hide their heritage as best they can, preferring to live quieter lives. 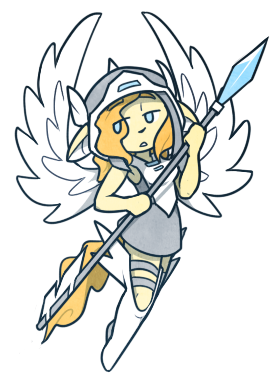 Living isolated in the clouds above Hetrea, Angels are believed by many to be fictional, as they have cut ties between themselves and Mobians, as well as all other surface-dwelling species. 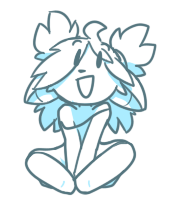 Angels have isolated themselves to protect their skygems- a priceless and malleable ore that they mine from the clouds above. With no other species living in the clouds to pose a threat to them, Angels have become a culture focused on knowledge and tradition, hedonistic in their pursuits and apathetic to the world below. Angel society is strict with its laws- Any who disrupt their peace or otherwise challenge the status quo are banished to Hetrea's surface, with their wings forcibly removed. Still though, there are a rare few Angels who choose to live on the surface of their own accord. Most Angels go through their entire lives without engaging in any form of combat- Any armor or weapons worn by Angels is purely decorative. Mobians are a species that evolved from a pack of feral, land dwelling Angels who were forsaken by the Angels above and cursed to remain on the surface of Hetrea with their wings removed, and their life spans shortened dramatically. Unlike other life on Hetrea, Mobian bodies grow old and weary over time. 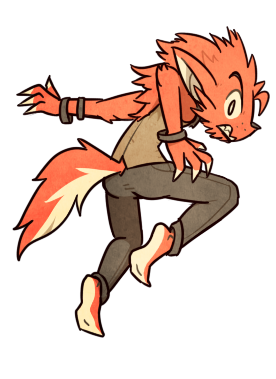 Left by the Angels to survive on their own, Mobians became instinct-driven beasts with little written history, growing longer fur and sharper claws than their aerial counterparts. Their species is named after the leader of the original land-dwelling Angels, Mobius, who is now believed to have been fictional. Though their reclusive yet aggressive nature had them considered dangerous feral animals in the past, Mobians from the Adventure Era onward have integrated well into society alongside humans. Curiously, some stories from the Legend Era refer to a kingdom of sentient beast-creatures from long before any records of Mobians are known to exist. Throughout most of Hetrea's long history, Slimes were monsters; thoughtless liquid blobs that would swarm civilized species in small groups, getting easily wiped out by even novice adventurers. When all monsters became sentient beings at the turn of the Modern Era, Slimes gained intelligence and mass, growing into stronger humanoid forms and gaining the intelligence needed to communicate with other civilized species. As Slimes became cognizant long after other species had already built up their civilizations across Hetrea, they have no culture or history unique to them as a species. Instead they've integrated into pre-established societies as best they can. Being a species made up of magic and liquid, Slimes are able to morph the shape of their bodies at will, able to change how solid they are, their consistency and even temperature as they choose. A Slime has full control over its own body. It is unknown how long the First Era lasted, as its end is marked by the development of written language. Though some remnants of this time remain as unmistakable reminders of Hetrea's past, such as the Unmoon, most if not all knowledge from this period has been lost to time and war. It is believed that Dragons were the dominant species on Hetrea during this era, as stories told by the few dragons who lived on beyond it tell of a time where Dragons were plentiful, living in civilizations of their own. The Legend Era began with the birth of the written word. It is difficult to tell, however, which accounts from this time are historically accurate, and which are fictional tales. The earliest known human civilizations began to build themselves up across Hetrea during this time, fighting back against the monsters of the world and each other. Some of the earliest Mages alive during this time were worshiped as deities, as seeing a mage in person was a once-in-a-lifetime event. If the stories written during this period are to be believed, great heroes rose and fell across this Era, bringing safety and glory to the masses in their times of need. These stories would go on to inspire generations, leading many to venture across Hetrea looking for tales of their own to tell as the next Era rolled around. The Adventure Era came about unmistakably as individuals across Hetrea, itching to explore the world for a variety of reasons, began building ships massive enough to sail across Hetrea's perpetually dangerous seas. This great embarking across the world brought many Hetrean cultures together, sometimes in joyful union and other times in violent conflict. Mages became more commonplace during this period, and great Mage families rose to power, creating new kingdoms with their gifts. This Era marks the first known time that different civilized species found one another and began to interact, such as Humans, Mobians, and Mermaids. Civilizations became much more capable of fighting off monsters during this time as well, learning from those who came before them as they developed new weapons and strategies. The last record of a living dragon was from this period. All was not violent though, as many set out to learn more about Hetrea as well, exploring for the sake or research and understanding rather than conquest, treasure and glory. The change to the Modern Era was abrupt and unmistakable. All at once, every Monster in the world became sentient- The vast majority of which began behaving like animals. The biggest tell of this change were Slimes, who went from thoughtless blobs of liquid to humanoid beings capable of communicating with the other civilized species of Hetrea. While Slimes were not the ONLY monsters to integrate into society are the start of the Modern Era, they stand out as the only species of monster to change so dramatically in size and capabilities when this shift occurred. With Monsters as they were known a thing of the past, Hetrea became much safer overall, allowing for the expansion of towns and cities and the transport of larger groups of people and goods with far less risk. An age of prosperity began, where the focus of many shifted from self defense and combat to science and technology. Complex and powerful inventions were created, such as a way to harness electricity from thunder mages to power machines, and large vehicles capable of crossing land or sea quicker than ever dreamed possible. There was a downside too, of course, as greed became a driving force behind many great steps forward, driving those hungry for power to manipulate and exploit others and Hetrea itself for their own gain- Sometimes with catastrophic results. Though very slowly, Unfolk and Angels began integrating themselves into surface-world society during this era. An uprising can be defined in two ways- As an act of mass rebellion, or as a literal rising up, an ascension. Both definitions apply to this Era. The Uprising Era began with the former definition, as the masses all across Hetrea's largest cities rose up to overthrow those who had risen to power at the end of the Modern Era at the expense of the people and of Hetrea itself. Once they fell, the many kingdoms across Hetrea united together to undo the damage they had caused, beginning this era of peace. The second definition to Uprising is relevant next. With Mages growing more powerful over the generations, and space travel on the minds of people all across Hetrea, Earth Mages began experimenting with lifting chunks of land into Hetrea's orbit, creating small floating islands at first and eventually moving mountains. As more and more kingdoms took to the sky in increasingly large clusters of earth and floating bodies of water, Hetrea was stripped of more and more of itself, being pulled outward into a world in orbit. Hetrea is not an organism. It does, however, have a way of regenerating itself whenever its inhabitants outgrow it, as they always do. Hetrea's seas grow wild and flood itself, then give way to entirely new land masses that raise to its surface and let new life grow over a millennia. Realizing this, scientists across Hetrea urged all Hetreans to take to the air, lifting nearly every bit of land off into space to continue sustaining Hetrean life as they knew it. On board their floating continents, the inhabitants of Hetrea left their planet to revive itself as the went off to explore the cosmos. Left empty, Hetrea went through its millennia of rebirth, and the life that grew on this next cycle of Hetrea were Seamers- Lifeforms unlike any on Hetrea previously, as they evolve dramatically several times over the course of a single lifetime, constantly changing and adapting to the world around them. As of this era, all forms of cognitive life on Hetrea are Seamers. Some Seamers behave like animals, while others build civilizations together. The Coziarch line of Seamers. Seamers are lifeforms that take on all shapes and sizes, able to change species several times throughout their lifespans. These sudden and dramatic changes are referred to as "Evolutions". 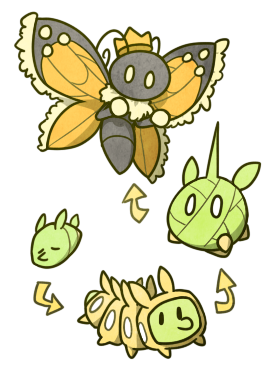 Each species of Seamer can evolve in a variety of ways, based around several factors such as its environment, diet, and upbringing. A Seamer's capabilities vary depending on its species. As there are such a wide variety of species, "Seamers" as a name represents them all as a category, rather than being the name of one specific species. 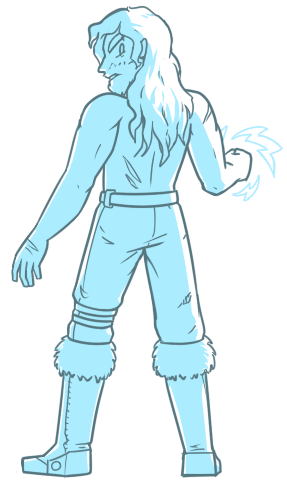 Seamers come in a variety of Elemental "Types" which help define their abilities and categorize them. Seamers exist across all of Hetrea, being the only group of sentient life in their time. Seamer civilizations each contain a variety of species, which usually live together harmoniously. Though only the most intelligent Seamers will begin working together to build up civilizations, other more animalistic species will conglomerate to live together there by instinct.